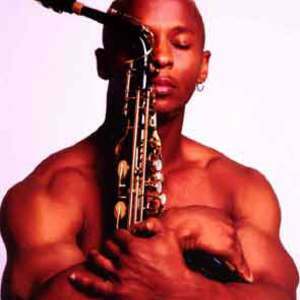 Alfonzo Blackwell, acclaimed saxophonist, songwriter and producer burst on the contemporary jazz scene in 1995 with a new sound that took the music world by storm. With his soulful and melodic approach to his music and sax playing, he rejuvenated the jazz genre and continues to leave an indelible chord on the progression of modern music. Throughout his remarkable career, Alfonzo Blackwell has garnered several radio hits, starting with his debut single ?Alfonzo's Love Theme? and his classic and revered tribute ballad to his mother, ?Hermina?. Throughout his remarkable career, Alfonzo Blackwell has garnered several radio hits, starting with his debut single ?Alfonzo's Love Theme? and his classic and revered tribute ballad to his mother, ?Hermina?. His albums are chart-topping masterpieces. His fans and jazz artist contemporaries alike hail Alfonzo as a living jazz pioneer and innovator. The consummate stage performer regularly graces the stage with the top artists in Jazz, R&B and Neo-Soul across the country. Alfonzo Blackwell, a child prodigy and native New Yorker received his formal training at prestigious institutions in New York and performed throughout the tri-state area in his youthful days, honing his craft and was mentored by some of the best in the industry. Some of his major influences are John Coltrane, Miles Davis and Eric Dolphy to name a few. The musical genius born in him gave him the ability to use his gifts and pull the best from all the greatest legends and cultivate it into what makes him among the elite jazz greats of all time. His music blends that complexity of genius with a soulful drone, unique onto his own and the pulse of the Now. The new jazz order, Rhythm and Cool style was created by this musical virtuoso and has blazed a trail for all of today's artists.